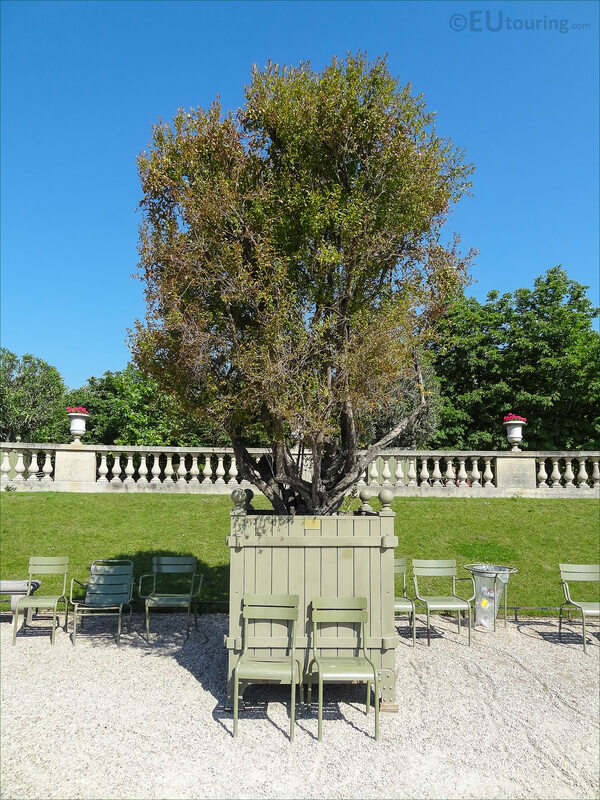 Within the Luxembourg Gardens depending upon what time of year you visit this popular tourist attraction, you will come across numerous plants that are put out in green crates or pots within the grounds, just like this one holding a Pomegranate Tree. 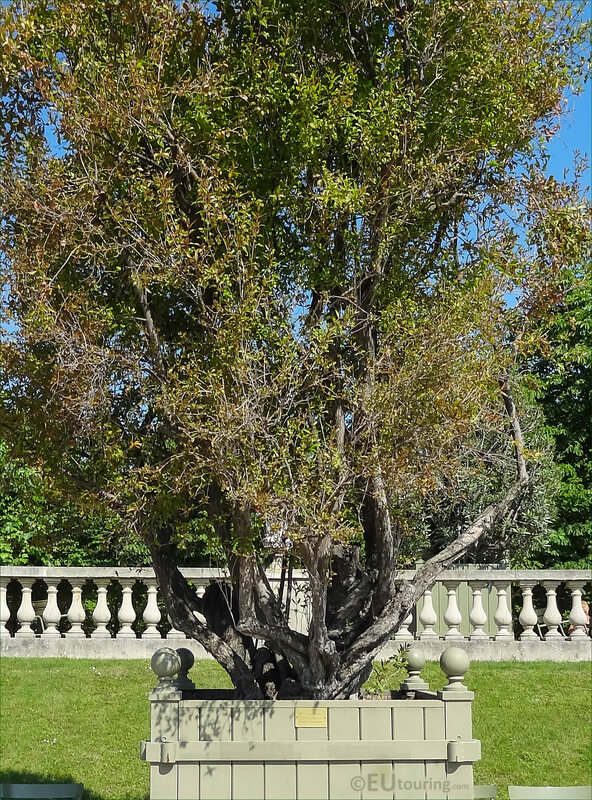 So the Pomegranate Tree has a scientific name of Punica Granatum, which is a deciduous, flowering and fruit bearing tree that is cultivated in places such as the Middle East, Asia and parts of the Mediterranean Basin for the fruit it bears, yet there are different species and this particular one is known as Punica Granatum Flore Pleno, which is an ornamental double flowering pomegranate tree. 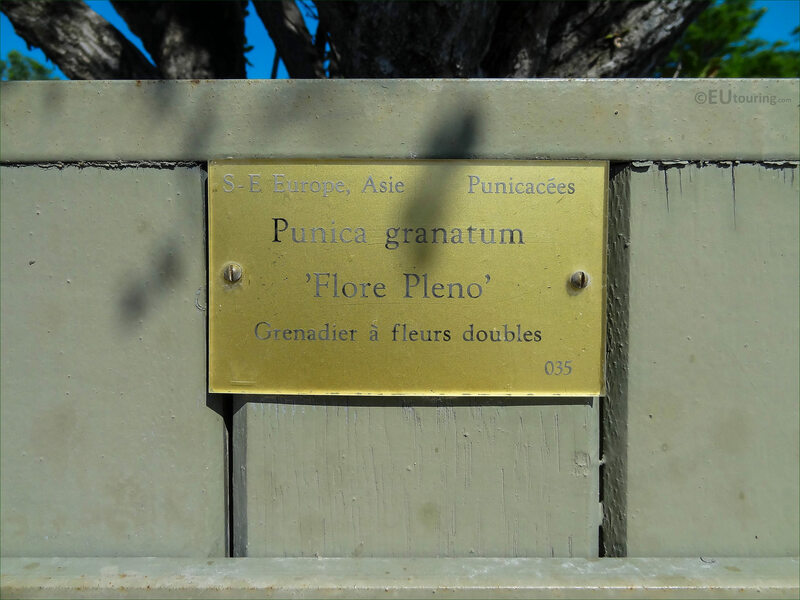 And this last photo shows the tourist information plaque fixed to the Pot numbered 35, which states the scientific name and exact variety, which states that this is a Grenadier Punica Granatum Flore Pleno that has double flowers, which actually look similar to a carnation when they are in full bloom in late summer, however, this variety is not prone to producing an abundance of fruit.